What is skin laxity and how can we treat it? The skin becomes lax, and has more of a “hanging” appearance, due to damage to and loss of collagen and elastin. Skin laxity can be attributed to the natural part of aging but it is also relate to sun damage. There are surgical options such as traditional surgery (facelift) and deep peels that help restore collagen and tighten the appearance of the skin. There are different ways to treat skin laxity non-surgically and that includes light based, radio frequency, and focused ultrasound treatments. Treating skin laxity non-surgically involves sustained heating of the dermis. The immediate effect is collagen contraction and the long term effect results in the stimulation of new collagen to be produced. When we heat the dermis in these tightening treatments, the epidermis (outermost layers of the skin) are protected. Who are the best clients for a skin tightening treatment at Evolutions? Age is not a barrier. Clients can range in age from 30 to 80+ years. Best results are usually seen with clients that have a minimum amount of excess fat in the area of concern and when their skin is neither very thin or very thick. Non-surgical tightening is great for someone who wants to address their skin laxity but is not ready for surgery. It is important to have realistic expectations. Skin tightening treatments at Evolutions can turn back the clock a few years, but not decades. Titan uses an infrared light to heat the dermis, well beneath the surface of the skin. The heating contracts existing collagen and stimulates new collagen to be produced. On the right is a before and after photo (courtesy of John Hunts, M.D.) of a Titan treatment on the eyelids. The “after” photo was taken two weeks after the 5th treatment. Titan treatments can be done on many areas of the body including the jawline, under the chin, and the abdomen to tighten the skin and reverse the signs of aging. Results are cumulative and most clients have two to four treatments over a few months although a single treatment may produce good results for some. ReFirme™ features the revolutionary elōs technology which simultaneously combines the power of bi-polar radio frequency (RF) and light energies to precisely heat the dermal tissue in the targeted treatment area. ReFirme™ treatments can help be done safely and effectively on the face, neck, abdomen, upper arms, and knees. In addition to improving skin laxity, it also addresses wrinkles and textural irregularities. This treatment combines ReFirme™ and Titan into one treatment to maximize the benefits of both treatments. Total Tightening synergistically works to heat the entire upper half of the dermis. With each treatment, the existing collagen is tightened as well as stimulating new collagen production that results in tighter, “fresher” skin. The results are cumulative and therefore we recommend a package that includes 4 treatments done four to six weeks apart. Total Tightening is truly “the best of both worlds” in non-surgical skin tightening technology and is exclusive to Evolutions Medical Spa. Pigmentation refers to the coloring of person’s skin, often it is the word pigmentation is used when it is distinctive or in excess (as in spots on the skin). Pigmentation is created by melanin in the skin. Different skin types have different levels of melanocytes and that is how different skin colors occur. Melanin is produced at a normal level based on skin type. However, when the skin is exposed to trauma, inflammation, or exposure to the sun (a suntan is equal to a skin injury), the amount of melanin rises in response to these events. Melanin can also be accentuated by hormones, birth control pills, and pregnancy. Over-stimulated melanocytes create appearance problems such as sun damage, age spots, “liver” spots, freckles, post-inflammatory hyperpigmentation, and melasma (dermal and epidermal pigmentation). Sunscreen: prevention is your best defense against pigmentation. Use it daily, year round! Home Care: bleaching agents can help to lighten the skin while exfoliating agents can help to brighten the skin. Recommended bleaching agents are Obagi Clear, C-RX Night (with hydroquinone), Revale Illuminesse Brightening Complex, Nia24 products, and retinoids. Exfoliating agents increase cell turnover to freshen the skin. Examples of effective exfoliating agents are alpha-hydroxy acids, amino fruit acids (AFA Exfoliating Gel), and retinoids. Chemical Peels: exfoliate and increase cell turnover in a short amount of time with chemical peels. Recommended chemical peels offered at Evolutions include the Clay Mask Peel, Alpha Beta Peel, Jessner’s Peel, and Obagi Blue Peel. Read in depth about what chemical peels do, how they feel, and descriptions of all the chemical peels offered at Evolutions in this blog post. Vibradermabrasion: treat superficial pigmentation problems with no downtime through Vibraderm, a physical exfoliation. Adding on a Vibraderm treatment to facials and peels as a pre-treatment will improve the penetration of the products and/or the peel. Vibraderm does not have a suction component to the treatment so there is no risk of broken capillaries as there is with a microdermabrasion treatment. Light-based Treatments: use intense pulsed light (IPL) and radio frequency technology to reduce excess pigmentation. They are safe and non-invasive. FotoFacial RF™: this is the “gold standard” for the treatment of pigmentation and works deeper than most chemical peels. It is available in a series or in combination with other treatments such as a FotoPeel, FotoPeel Plus, and FotoFacial Genesis packages. Q-Plus C (Q-Switched Laser): this laser can treat spots individually or can treat an entire area with our new Q-Peel package. The Q-Switched Laser works in pulses of billionths of a second to “explode” pigment. It can treat pigmentation issues (spots) as well as tattoos of all colors. Sublative Rejuvenation Plus DNA Repair (New! ): a fractional resurfacing device that uses radiofreqency energy instead of light to treat wrinkles, pigment, acne scarring, skin laxity, tone and texture. A Sublative Rejuvenation treatment has less downtime and discomfort than older fractional laser devices (i.e., the Fraxel). A DNA stem cell ampoule is now included with the treatment. The stem cell ampoule introduces genetically flawless live stem cells which influences the older cells to replicate stronger, healthier, more youthful-looking skin cells. This is an FDA-approved treatment that is clinically proven to renew compromised skin. Sublative Rejuvenation can be combined with other light-based treatments such as the FotoFacial RF™ or Total Tightening. Chemabrasion: this surgical procedure combines a deep peel with dermabrasion. It treats wrinkles, sun damage, and pigmentation issues. The change can be dramatic. Downtime is approximately one week. This is done by Dr. Perkins at Cosmetic Surgery Center located near Cottage Hospital. Please call his office at 805-563-0000 for a consultation. In conclusion, Dr. Perkins stressed the importance of daily use of sunscreen. The best way to treat sun damage is to prevent it! When pigment issues do arise, Evolutions offers a number of medical spa treatment options, for all areas of the body, with “at home” options also available. Evolutions always offers a complimentary consultation for your skin concerns. Please call us at 805-687-0212 to make an appointment or fill out our online consultation form. Skin laxity, or “loose” skin, begins as a natural part of aging, due to damage and loss of collagen and elastin, but also related to sun damage. Traditional Cosmetic Surgery: face lifts, eye lifts, neck lifts and the like. Deep Peels: Chemabrasion, a deep peel that superficially destroys the epidermis and dermis, done under general anesthesia. Light-based treatment: such as the FotoFacial RF (photo rejuvenation), the safest and most effective intense pulsed light (IPL)-based treatment today. Radiofrequency treatment: such as Sublative Rejuvenation, the newest skin resurfacing device with less downtime and discomfort. How Do We Treat Skin Laxity Non-Surgically? We have found that sustained heating of the dermis (the cells below the skin and the epidermis) has both short term and long term effects: Immediately it stimulates collagen contraction, which helps to tighten the skin while it also promotes long term stimulation of collagen remodeling – maintaining a strong collagen “support system” gives the skin strength and resilience. Who Can Be Treated Non-Surgically for Skin Laxity? Clients that have the best results have a minimum amount of excess fat in the area of concern and who have skin that is neither very thin or very thick. Clients can be anywhere from 30 to 80+ years. When treating skin laxity non-surgically, clients must acknowledge that the treatments will turn back the clock a few years, not decades! Someone who is not ready for surgery, but ready to see a difference in their skin, is a great candidate. Titan uses an infrared light source to heat the dermis well below the skin’s surface. This heating contracts existing collagen and stimulates growth of new collagen. Although a single treatment may show a change in your skin, a series of two to four treatments is recommended for optimum results. Downtime is minimal, with maybe some mild swelling and redness for a few hours post-treatment. Clients have been successfully treated on many areas of the body. The most common areas treated are the jawline, under the chin, and the abdomen. ReFirme™ combines Bi-Polar Radio Frequency and Light energies to heat the dermal tissue within the targeted treatment area. Using significantly less optical energy than lasers and IPL’s, it ensures enhanced safety and a virtually painless procedure. It helps skin laxity, sagginess, wrinkles and textural irregularities and most patients see gradual and cumulative results throughout the treatment regimen. Common treated areas are the face, neck, abdomen, upper arms and knees. Total Tightening is an exclusive protocol designed by Dr. Perkins that most effectively addresses skin laxity without needles or surgery. Total Tightening combines ReFirme™ and Titan into one treatment to synergistically heat the entire upper half of the dermis. A series of 4 treatments is recommended for best results. Total Tightening is exclusive to Evolutions Medical Spa Santa Barbara! View before-and-after skin tightening pictures. Pigmentation is melanin in the skin. 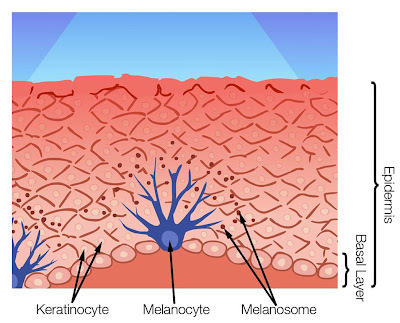 Melanin is produced by melanocytes and different skin types have differing levels of melanocyte activity. Every body has a normal production of melanin. 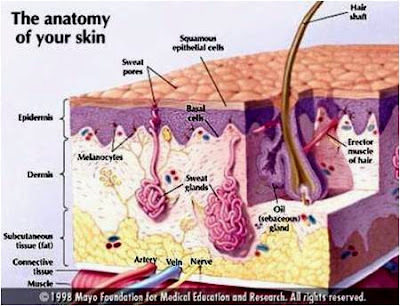 The body also produces melanin in response to sun exposure (suntan = skin injury), trauma, and inflammation. Melanin production can be accentuated by hormones, birth control pills, and pregnancy. If melanocytes are over stimulated, appearance problems can occur and can be commonly referred to as sun spots, age spots, “liver” spots, and freckles. Post Inflammatory Hyperpigmentation (PIH) can cause darkening and discoloration as a result of an inflammatory reaction, or injury, to the skin. Common causes are scratches, burns, cuts, bruises or even certain rashes. Melasma, darkening patches of the skin, usually appears on the face (although it can develop on the forearms and neck) and can be triggered by pregnancy, birth control pills, photosensitive drugs, sun exposure. Sunscreen: Proactively protect your facial and chest skin year round using a good sun block every day. Home Care: There are products that can be used at home to fade pigmentation (bleaching agents) and increase cell turnover. Bleaching agents: Recommended bleaching agents are the Obagi Clear, which is Step 3 in the Obagi Nu-Derm system, Obagi C-RX Night Cream, both contain Hydroquinone, PCA Brightening Therapy, Nia24 products and retinoids. Increase cell turnover: Alpha-Hydroxy Acids, Amino Fruit Acids and Retinoids all play a roll in expediting cell turnover. Phase Five Peel (light peel): low irritation and not a lot of actual peeling – a series of five is recommended. Alpha Beta Peel (medium peel): a more aggressive medium-depth peel that stimulates new collagen and elastin. Clients usually see results in as little as four to five days. Obagi Blue Peel (deep peel): the most aggressive peel that will significantly improve the complexion, leaving the skin firmer, clearer, smoother and healthier. Particularly good for pigmentation issues too. Vibradermabrasion: a physical exfoliation to stimulate collagen. Vibraderm keeps your skin looking young and can be used to treat superficial pigmentation problems (with no downtime) and, in addition, improves penetration of products / peels. It is superior to microdermabrasion because there is no suction, which can cause broken capillaries. Light-based Treatments: The FotoFacial RF is the “gold standard” for treatment of pigmentation. It works deeper than most chemical peels and is available in a series or combination with other treatments (FotoPeel, FotoPeel Plus, and Foto Genesis Packages). Sublative Rejuvenation: The newest fractional resurfacing device available that is used to treat wrinkles, pigment, acne scarring, skin laxity, tone and texture that uses radiofrequency energy instead of light, so it is safe for all skin types. Less downtime and discomfort than older fractional laser devices, with customizable treatments available. Sublative Rejuvenation can be combined with other light-based treatments such as the FotoFacial RF or Total Tightening. Chemabrasion: a surgical procedure that combines a deep peel with dermabrasion with approximately a one-week downtime. Chemabrasion treats wrinkles, sun damage and pigmentation issues. In conclusion, Dr. Perkins stressed that the best way to treat sun damage is to prevent it – use sunscreen daily, year round. When pigment issues arise, however, there are a number of treatment options – from “at home” care to treatments at Evolutions. For a complimentary consultation about skin tightening or skin lightening, contact Evolutions Medical Spa at 805.687.0212. Skin resurfacing and rejuvenating can be accomplished a few different ways using laser and light-based technologies. Traditional resurfacing ablates (removes) skin surface. The results are great, but healing time can take up to a week or more. Non-ablative rejuvenation such as FotoFacial RF protects the skin surface (does not ablate) and still targets areas of pigmentation and redness to get results with no downtime. While the results are great, they are not able to match the results of ablative technology. The newest treatments available are fractional resurfacing. Fractional resurfacing removes a small portion of the skin surface (usually 5% – 10%) and protects the rest. This gives many of the benefits of traditional resurfacing with very little downtime, so it is a great option for many clients. Evolutions is pleased to introduce Matrix RF fractional skin resurfacing — the newest fractional device on the market and a great new, less-invasive option. The Matrix RF fractional technology reaches deeper into the skin, but covers the area in patterns of dots instead of a broader area. The matrix spots are surrounded by non-affected tissue which helps in accelerating the healing process. This results in a treatment with more effective color and texture improvement – and significantly less recovery time than traditional resurfacing. Matrix RF can be used to treat wrinkles, acne scar revision, superficial skin lesions, scar revision, textural irregularities, pigmentation and skin laxity. Past procedures were not as successful on darker pigmented people and this is not the case for the Matrix RF. See a video from NBC’s show, “The Doctors”, featuring the Matrix addressing darker skin types. Treatment is safe and effective. Typically 3 treatments, 4 – 6 weeks apart are recommended for maximum results, however it depends on your skin’s condition. Matrix RF is currently only available in the Tri-Counties at Evolutions Medical Spa in Santa Barbara. Evolutions offers a complimentary consultation to determine whether the Matrix RF is the solution for your skin! 805.687.0212.